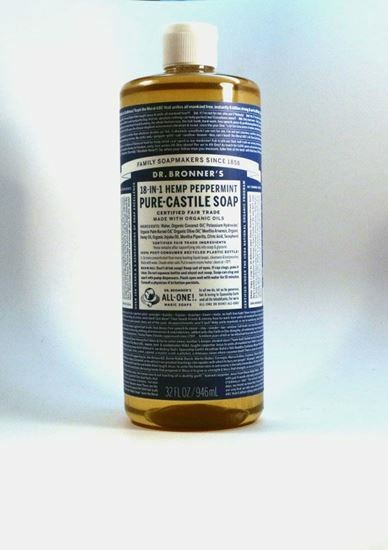 Home > SHOP ALL PRODUCTS > Castile Peppermint Soap - 32 oz. Organic Personal Care Liquid Soap. Wash with a clean conscience. No Synthetic Foaming Agents pr Preservatives! Certified Fair Trade. All soaps are not only certified by Oregon Tilth to the same rigorous USDA National Organic Program standards that certify organic foods, but also certified Fair Trade by the respected Swiss certified IMO. Our fair trade coconut, olive and palm oils benefit farmers, families and communities in developing countries with fair prices, living wages and funding for local development projects. Work into lather. Rinse clean.